It is a nice morning. One black shadow is going to Bert’s bed … … Oh! That is Ernie! 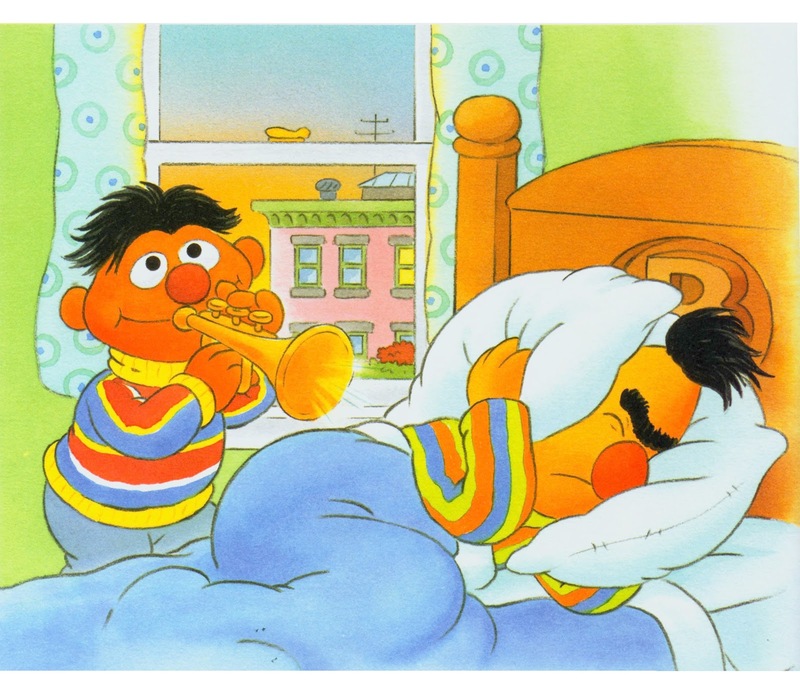 Ernie is standing next to Bert’s bed. He takes a trumpet and starts blowing it. He says, “Bert, hurry up! 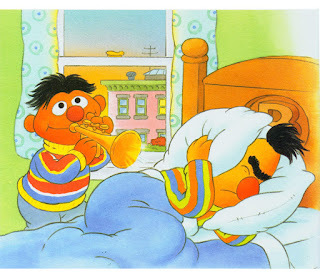 It’s time to wake up.” Bert says, “You are so noisy! Why will I wake up so early with you?” Ernie looks happy and says, “I want to eat breakfast with you. We never eat breakfast together, so I have to eat breakfast with you today.” Bert thinks that is a great idea, so he get out of his bed. Finally, they have a nice breakfast together. What a wonderful day it is!